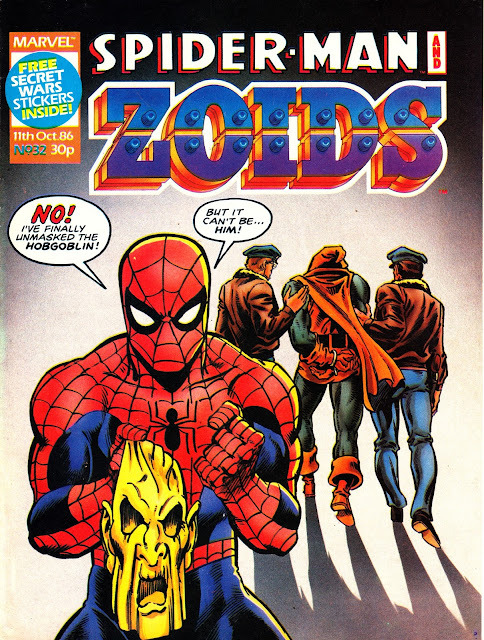 From October 1986: the next four issues (31-34) of SPIDER-MAN AND ZOIDS, published by MARVEL UK. Twas the month for gifting with no less then three issues including some form of crowd-pleasing bonus. The biggie came at the start of the month: the MARVEL SUPER HEROES SECRET WARS STICKER ALBUM. This loose adaptation of Shooter's first series felt a little like ancient history at this point considering Marvel UK were deep into the sequel. But it was still a welcome surprise. It also sparked playground rumours that a SECRET WARS movie, TV show or animation was imminent. We associated sticker albums with screen properties and assumed this was a similar venture. It wasn't. Instead it featured new uncredited art. It seems that Marvel Productions were trying to pitch an animated Secret Wars series but either the superhero adverse networks nixed the idea or soft sales of the toy line deterred Mattel from investing the cash required to get a show into first-run syndication. 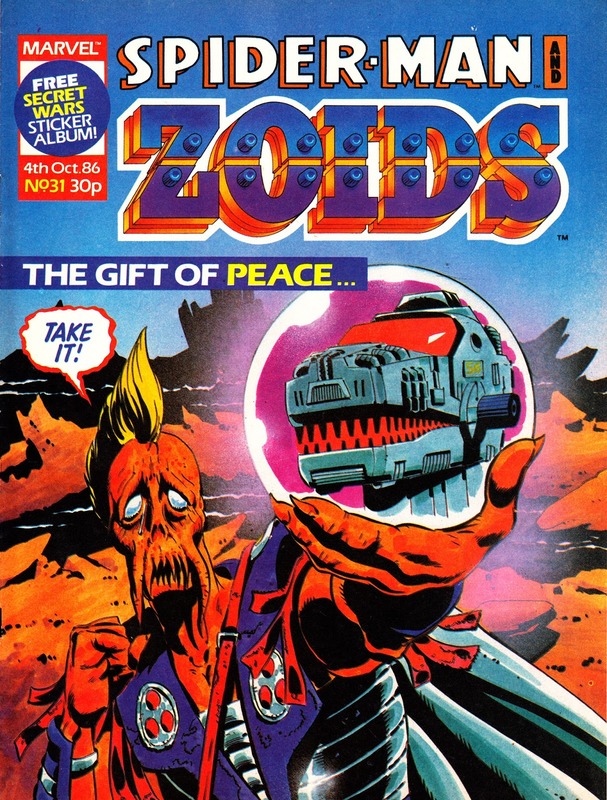 Issue 32 followed with, as tradition dictated, more stickers for the album as a second hit to get kids addicted to the new collecting habit. More stickers were, of course, available from local pushers - err - newsagents. Although it sparked a fair bit of debate, the free album didn't translate into a playground collecting frenzy and I don't remember anyone persevering beyond the freebies. Maybe we were a little too old for that sort of thing... or maybe superheroes really did need a movie or TV show to really snag our interest. Tomy, with both eyes fixed on the crucial Christmas toy season, pitched in with a ZOIDS poster the following week. 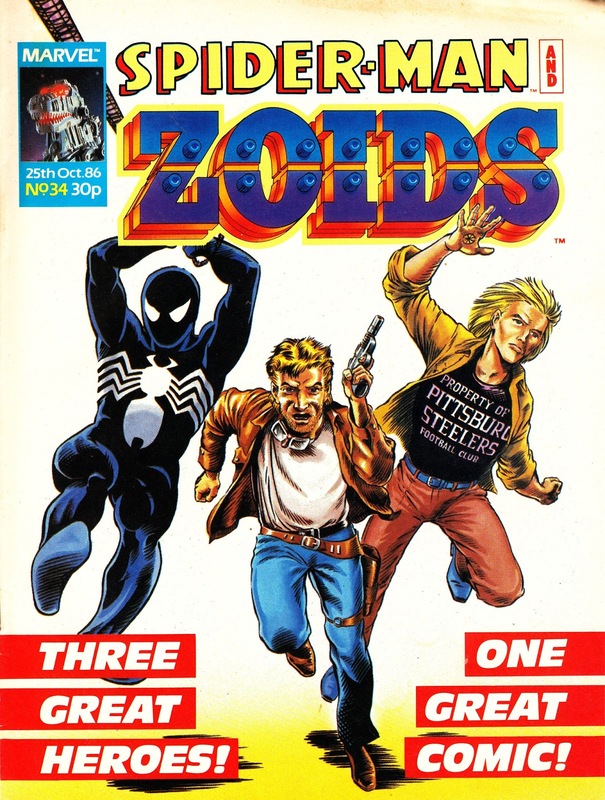 October closed out with a UK cover featuring the heroes of all three strips. 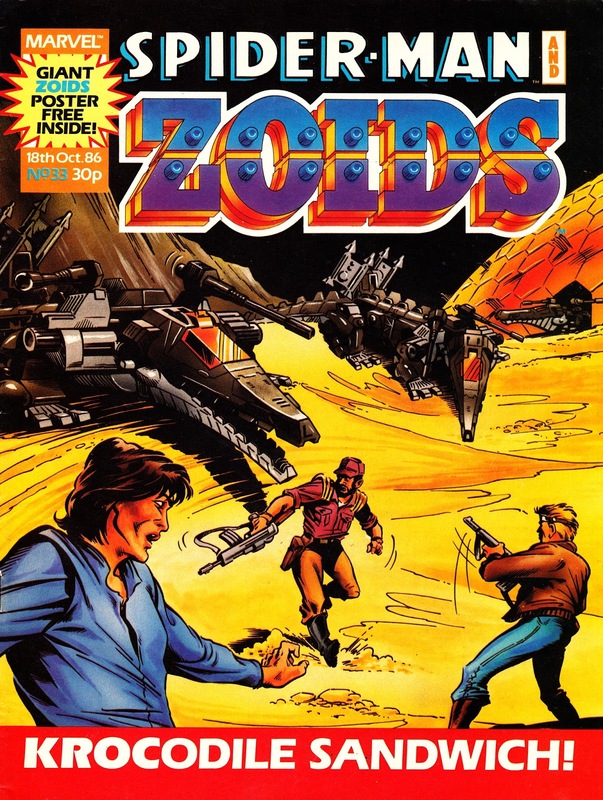 The only time that STAR BRAND snatched the cover slot and a special rare Zoids cover that didn't actually feature any of the toys.